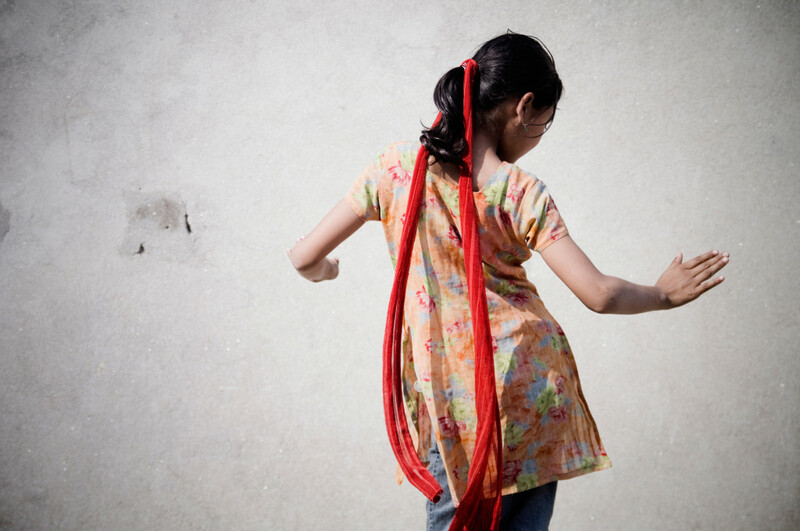 Young girl dancing in an orphanage in Lalitpur/Patan. Edit: Today (May 12, 2015) another 7.2 earthquake hit Nepal by surprise. If you haven’t yet, please consider donating at this point. I am adding another cause to donate here after talking to a friend running a small fair trade manufactory (also running an elementary school and an orphanage) near Patan Durbar Square. Kumbeshwar is a trusted initiative producing hand-made carpets, knitwear and accessories and supporting the communities around, especially empowering women with jobs, childcare and education. I volunteered as a photographer for several weeks with them in 2011 and also visited some of their producers outside of the city. See some of my images from back then here. Check their website for details and updates. Thank you for your support. Edit: At this point (May 5th, 2015) I decided to recommend donating to the last option below, Relief For Nepal Earthquake Victims/Photo Circle. I learned that even more friends of mine are involved in this project and I am seeing constant updates on facebook that they are actually doing what they say they do. Once again, these are trusted friends with experience and knowledge of the area and community. If you consider donating, do it here. Check @NEPALPHOTOPROJECT for their picture updates from the ground. Over the past few days since the devastating earthquake in Nepal I have gathered information on where to donate purposefully to help. I have a number of very involved contacts in Kathmandu and beyond because N and I used to live there for some time in 2011. Most of them are either activists, work for local or national or international NGOs or GOs and/or are very involved in their communities, so I think these are very valuable sources on where to spend your money if you are willing to help Nepalis in this very difficult situation. Nepal is one of the poorest countries on this planet, so believe me that any amount that you can spare can go a long way. Group of women in the Eastern Terrai. An important PS: Many local individuals have independently stated that money given to the government is most likely not going where it is needed most. Nepal is a poor and corrupt country, so it is definately a good idea to donate locally. Please consider this and chose wisely. Also, media coverage is heavy on the loss of temples and cultural heritage. While I think this is an absolute tragedy and great loss for Nepal and its people, I think the focus should be on the humanitarian situation at this point. There will be plenty of time to rebuild the city, but for now I think shelter, food, water, blankets and medical aid are much more important, especially while it is not entirely clear that there won’t be more tremors in the coming days and/or weeks. A group of young academics, entrepreneurs and activists who know their community and are handing the money over to local organizations that need it most. The two groups are both initiatives of the World Economic Forum and work closely together. This initiative has been recommended to me independetly by several individuals that I highly trust who don’t know each other and aren’t connected. It seems like a great pick if you want your money spent locally by people who know the community and terrain. For more info and (Nepali) bank account details, please check their facebook page. You can now also donate via paypal to ksilwal@gmail.com. Common gesture on the streets of Kathmandu, telling a behind vehicle that it is safe to pass. This is a local independent fund raiser that has been recommended to me by a very educated and highly involved girl that I used to teach photography back in 2011. She now lives in Afghanistan working in the Social and NGO sector and just returned to Nepal yesterday to help out her family and community in these difficult times. From my understanding, this is an initiative by some of her friends that passes down the money to help Nepalis especially in the peripherie of Kathmandu, where the infrastructure is worse and help is harder to reach. It has come up in other discussions on the topic and I highly trust that this is a good cause. The same girl mentioned above recommended this initiative: Human Development Community Services (HDCS), that has been active in Nepal for decades. They run hospitals in remote areas where medical help is hard to reach. One of their hospitals covers the area of the epicentre of the earthquake and is providing people there with medical help and shelter. Taskforces have been appointed. The organization was founded by her father and I consider it to be highly purposeful and trustworthy. Please note: It seems there is only a Nepali bank account to transfer to at this time, which might apply high fees for a transaction. I am following up on this and will update information in case there will be additional ways to donate or a trustworthy individual to receive transfers via Western Union or such. Crowded bus during rushhour in Kathmandu. This is a group of Nepali friends of mine that usually run an organization called Photo Circle that teaches and exhibitits photography, organizes grants and scholarships, cultural events, talks and exhibitons and connects creatives from Nepal with international teachers and photographers, aswell as giving general support to their communities. They teamed up to help individually, concentrating on plastic tarps for shelter at the moment and they are organizing direct help through their large international network. There will be a facebook page with detailed info within the next few days. You can already donate here if you have a credit card. These individuals have done amazing things in Kathmandu and Nepal in the past and I am 100% sure that every penny they get their hands on will be spend wisely. I might add Western Union info here in an update, but need to check with them first if that information can safely go public. 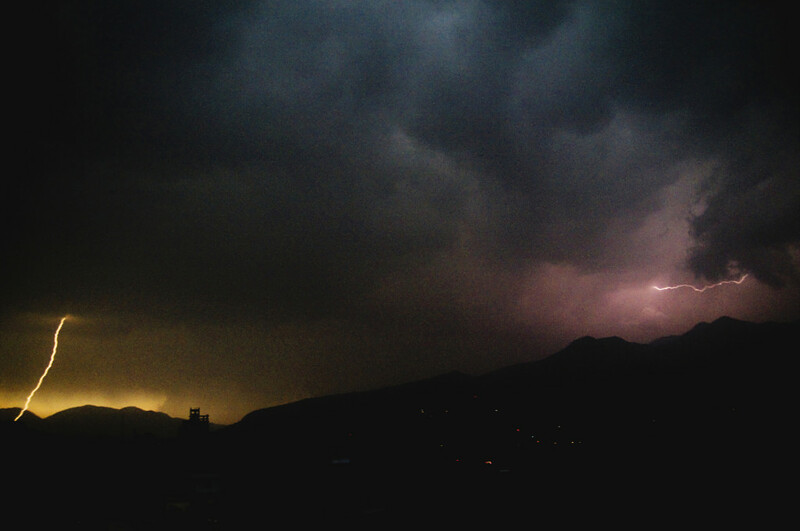 Heavy thunderstorms over Kathmandu Valley. I will frequently update this page in case new information comes up. My research was done thoroughly, but in a hurry. If you find any errors, please send me a private message and I will quickly and accurately update or correct the information above. I am also willing to add additional organizations or causes that you submit and trust. For all of May 2015 my public photos from Nepal may be used by relief organizations, individuals or NGOs under the creative commons license CC BY-ND. If you want to publish a photo but don’t know how, please contact me via email. Thank you for your support and please help Nepal, by donating or by sharing the cause.